Hans Christian Andersen was a Danish author, fairy tale writer, and poet noted for his children's stories. These include "The Steadfast Tin Soldier", "The Snow Queen", "The Little Mermaid", "Thumbelina", "The Little Match Girl", and "The Ugly Duckling". Hans Christian Andersen often referred to in Scandinavia as H. C. Andersen, (2 April 1805 – 4 August 1875) was a Danish author. Strangely, despite four decades on Earth, I have almost no familiarity with this gentleman Hans. If I can live another 4 decades, I doubt I'll forget about him from here on out. 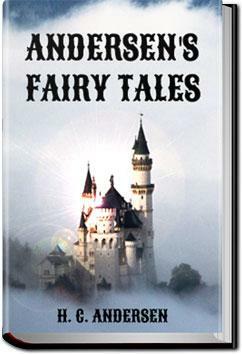 Although some of the tales are really disturbing, the fantasy and imagination behind them is indisputable. I grew up reading this book and I'm sure it'll be valuable for all future generations. "The good and the beautiful is not forgotten; it lives in legend and in song." Hans Christian Andersen once said, "Life itself is the most wonderful fairy tale." And his life certainly was an extraordinary rags to riches story. You should call things by their true names, and even if you don't do so usually, you ought to in a fairy tale. I enjoyed most the first section, from The Sandman, a series of pleasant dreams for good children. I'll have to read it in full some time.